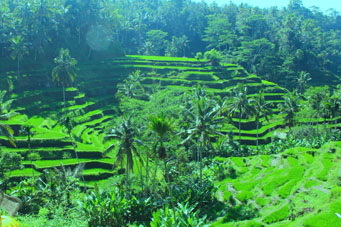 Explore the botanical gardens where Bali nurtures rare and indigenous plants from throughout Indonesia. The lush gardens and verdant park is well maintained and quite a sight to see. Marvel at the famous rice terraces at Jatiluwih and witness the local ceremonies at Pura Ulun Danu on glassy lake Bratan. 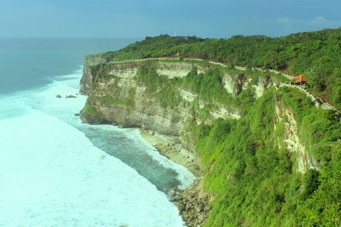 End your tour at one of Bali’s holiest temples, Tanah Lot, surrounded by ocean on three sides and connected to land by a thin formation of rock and coral. Bring your camera because you’ll have plenty of opportunities to capture the shot of a lifetime at any one of these locations. 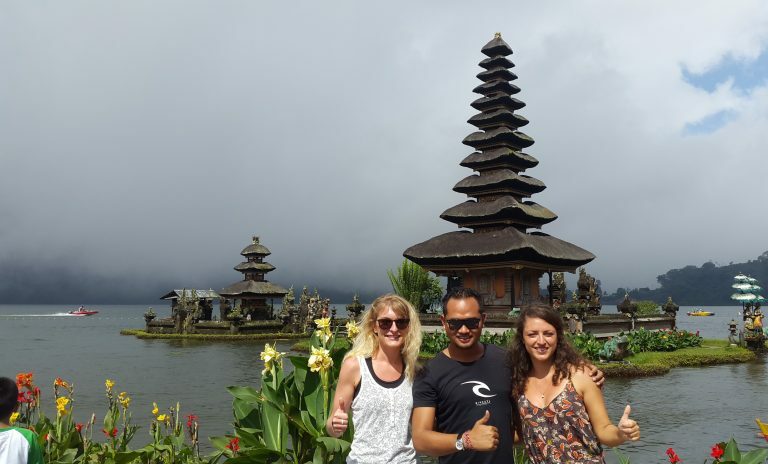 Cultural Destination: Pura Ulun Danu, Taman Ayun, Tanah Lot. Our friendly, English-speaking driver will pick you up at your hotel in our air conditioned van at a time of your choosing. 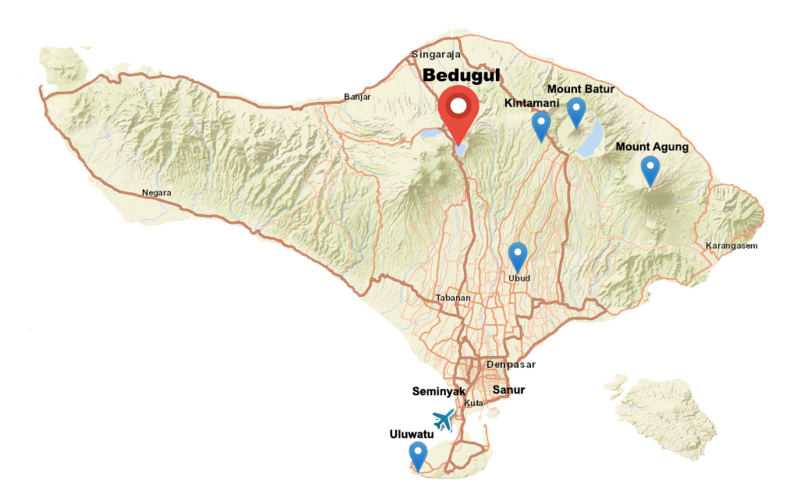 We then may drive directly to the botanical gardens in Bedugul where you can stroll the grounds and learn about Indonesia’s indigenous plant life. For the more adventurous, here’s where you’ll get a chance to climb the trees and zip line. Zip lining may take a big chunk out of our day so if you decide to do this activity, you may have to choose between several other stops for the remainder of your tour. We’ll then stop for a traditional Indonesian lunch and head to Taman Ayun Temple or Lake Batran where you’ll get to see the spectacular temple Ulun Danu or Dewi Danu. You may even get to witness a village ceremony. If there is time, we’ll end our day at the infamous Tanah Lot Temple in time for the sunset and dinner for more delicious Indonesian cuisine. When we’re finished filling our bellies, our driver will take you back to your hotel. US $50.00 per car. Our drivers are very knowledgable and will help you as much as they can, but they stay with their vehicle to allow you to roam freely at each location. If you’d like more, you can hire a hands-on guide who will be with you at all times to help you with cultural and historical explanations for US $25. NOTE: Our vans can hold from 1-5 guests. If you have a larger group, it may require another charge for that vehicle. We will work with you as best we can with the group you have. Many of the stops we make have shops that sell curios and souvenirs. You should bring extra money for shopping if you are interested in purchasing some items. High-end shopping is not a part of this tour so if you’d like to fit that in, please notify us before the day of your tour and we will arrange stops at stores with high-end products. Healings are not a normal part of our tours or included at any of the temples we visit. If you are interested in seeing a Mangku or healer, please contact us before the tour and we notify you if these ceremonies are possible on your tour. No. You can visit any of the places we go to on your own, but a hired driver or guide can help you to find the best deals, avoid crowds and traffic and give you knowledge about customs and culture that you would not receive from a taxi driver. Yes. Because the temples are old, please be sure to supervise your children at all times to prevent injury. Likewise, drivers in Bali can be more dangerous than you are accustomed to so be sure to watch your kids near streets and in parking lots. 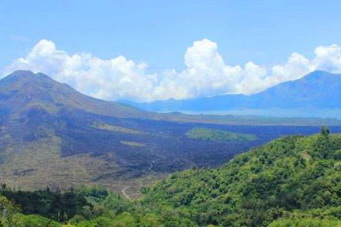 Tourists have become a permanent fixture in Bali. That being said, our guides are very experienced and know the areas to which you will be going. They will avoid crowds and traffic whenever possible. Should I hire a guide or just use the driver? Our drivers are very good and can answer a lot of your questions. They will help you in every situation they can, but will remain with the car to let you explore on your own. Some travelers prefer this while other prefer a more hands-on guide. If you hire a guide, he will enter all the temples, palaces and other places with you, explain the culture and history behind it all and answer all of your questions. they re very handy for those who want to learn more about our beautiful culture and happy island.